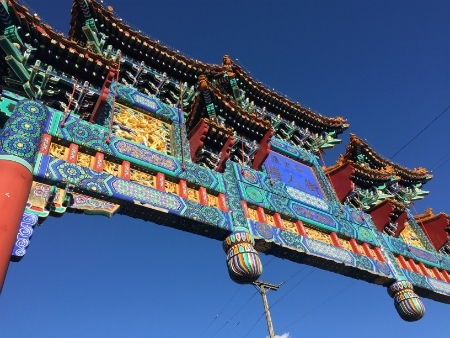 The Ottawa Chinatown Arch had been a dream of the community for years. 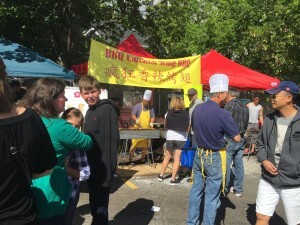 Led by the Somerset Street Chinatown Business Improvement Area (BIA) and it’s dedicated committee, supported by the Government of Canada, the Government of Ontario, the City of Ottawa, the Embassy of the People’s Republic of China in Canada, the City of Beijing and many community members and corporations – the dream became a reality in 2010. This unique arch is a symbol of prosperity, health and good fortune. It is of Chinese northern-royal style with nine distinguished golden roofs covered with glazed tiles. Five symbolic coins of five precious metals (gold, silver, copper, iron and tin) and five threads (red, yellow, blue, white and black) are embedded into the structure. By following these Chinese traditions, it is said to bring blessings to the people and to the land. The twin-city project between the City of Ottawa and the City of Beijing also commemorated the 40th anniversary of the establishment of diplomatic relations between Canada and the People’s Republic of China. Construction was completed on October 1, 2010.